A gift card can be the perfect gift, but it is not as eye appealing as a beautifully wrapped present. 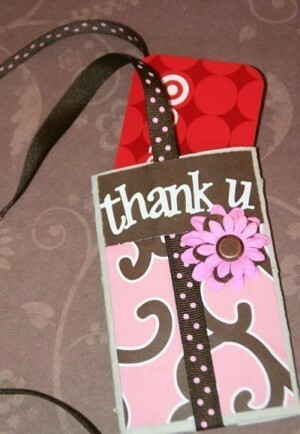 You can change that by making a nice gift card holder that can be a gift in itself. This is a guide about gift card holder crafts. When giving a gift card as the gift, you can make it more personal and crafty, by making a cute box to contain it. 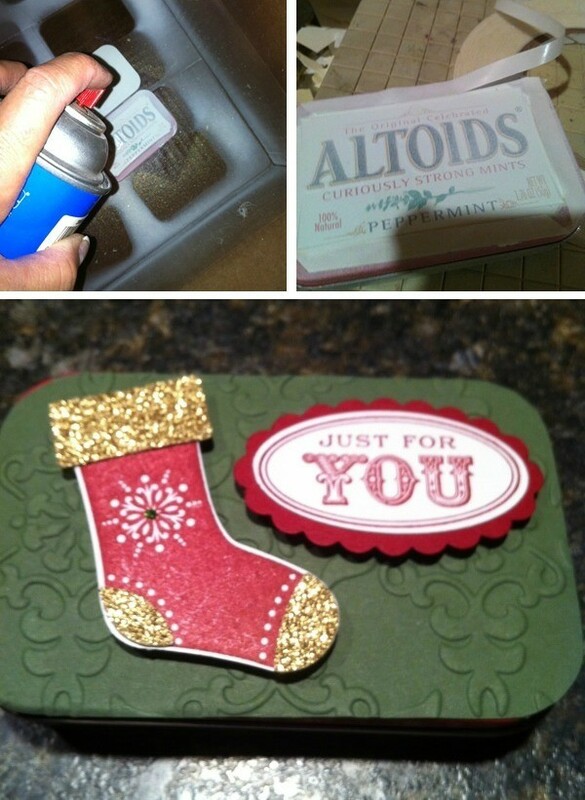 This is a guide about making an Altoids tin gift card box. This is a guide about toilet paper tube gift card holders. Reuse and decorate a flattened paper tube to wrap a gift card for a special occasion. This is a guide about making a book gift card holder. 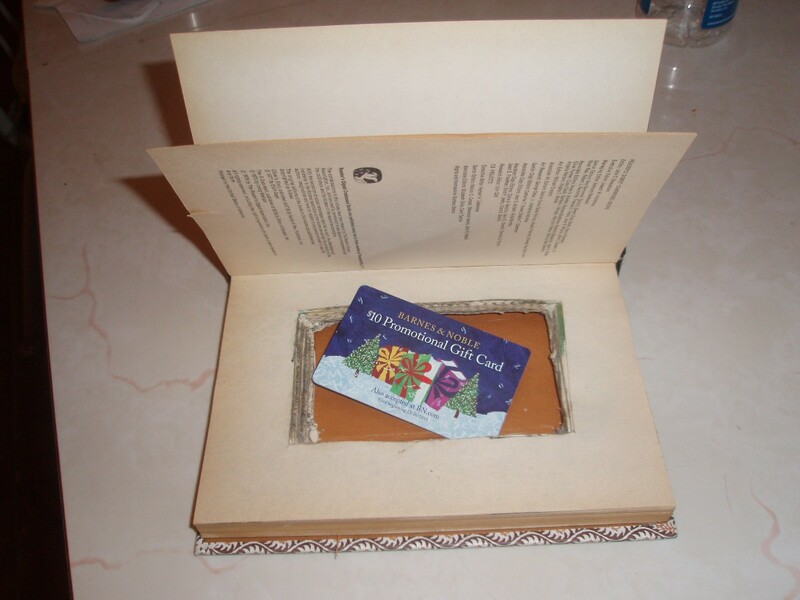 A unique gift box for cash, a small gift, or a gift card can be made out of an old book. Giving gift cards or cash for Christmas? Have you seen the prices of gift card holders? Here's an inexpensive way to present them for Christmas. Using felt sheets, double over and lay a gift card on it as a guide. You can get two stockings out of one 8x11 sheet of felt. Cut out a stocking shape allowing for small seams on sides. Use decorative scissors on raw edges. Sew or glue all edges except the top of stocking. Decorate these with beads, buttons, cinnamon sticks, small wrapped candies, etc (again let you imagination go wild). Insert gift card or money inside and these can be hung from the tree by adding a string for hanging or they tuck nicely into a card. Just a little added touch to your gift.